The New York Giants signed safety Ryan Murphy to the 53-man roster from the Practice Squad. Murphy Murphy was originally drafted in the 7th round of the 2015 NFL Draft by the Seattle Seahawks. The Seahawks waived him in their final round of cuts in September 2015. He spent time on the Practice Squad of the Denver Broncos in both 2015 and 2016. The Giants signed Murphy to their Practice Squad in late December 2016 and again in September 2017. 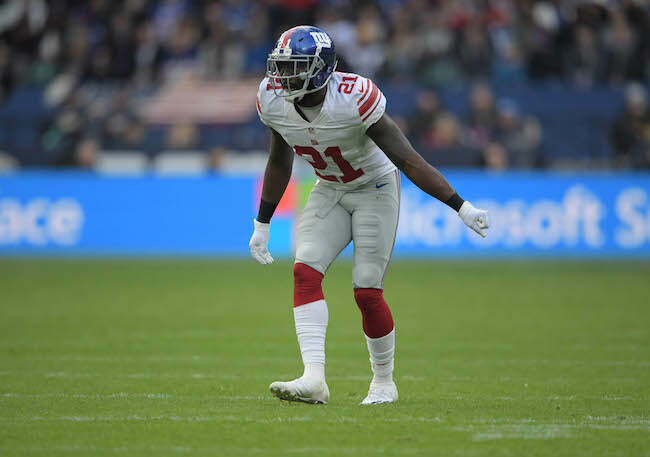 Safeties Landon Collins (ankle) and Nat Berhe (hamstring) did not practice on Friday. Berhe has been ruled out of Sunday’s game against the Philadelphia Eagles and Collins is “doubtful” for the contest. Defensive end Jason Pierre-Paul (finger) and defensive tackle Damon Harrison (not injury related) fully practiced. Both are unofficially “probable” for the game. There is no media availability to the New York Giants on Saturday. The Giants play the Philadelphia Eagles at MetLife Stadium on Sunday afternoon. 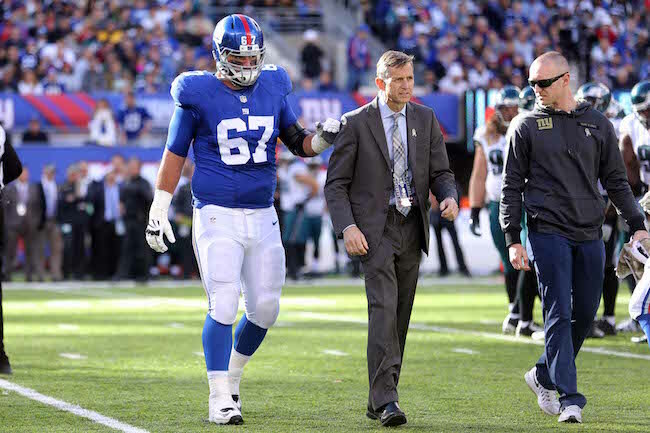 NJ.com reports that the Giants interviewed Offensive Coordinator Ben McAdoo on Tuesday. 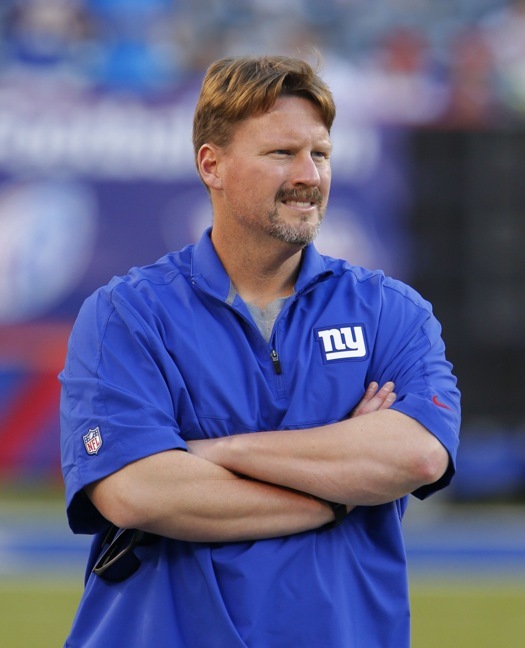 The New York Post reports that the interview went “very well.” McAdoo will also reportedly interview with the Philadelphia Eagles on Thursday. 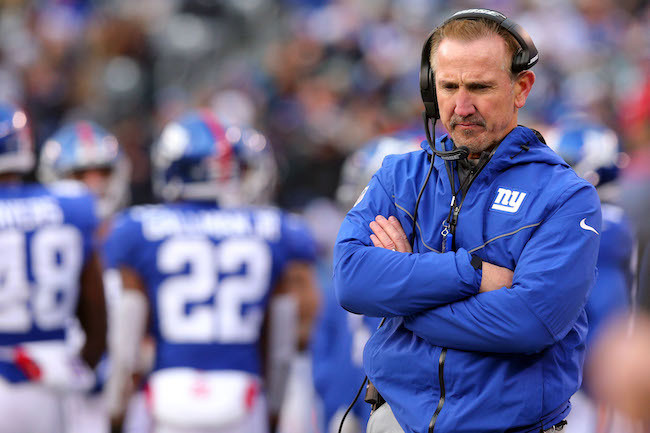 CBS Sports reports that the Giants will interview Defensive Coordinator Steve Spagnuolo on Thursday. According to FOXSports, the Giants will meet with Chicago Bears Offensive Coordinator Adam Gase on Friday. Gase interviewed with the Eagles for their head coaching vacancy on Tuesday and will reportedly meet with the Eagles again this weekend. The Browns and Dolphins are also said to be interested in Gase. NFL.com reports that Jacksonville Jaguars Assistant Head Coach/Offensive Line Coach Doug Marrone will interview with the Giants on Saturday. The Eagles, Dolphins, and Browns are also said to be interested in Marrone. The New York Daily News reports the Giants plan to interview Carolina Panthers Defensive Coordinator Sean McDermott, but The New York Post reports that meeting has not yet been set up. Since the Panthers have a playoff bye, the Giants are allowed to interview McDermott this week, but not next week. The New York Daily News reports that the Giants are “considering” interviewing Cincinnati Bengals Offensive Coordinator Hue Jackson. But Jackson is not currently allowed to interview with other teams this week because the Bengals play this weekend. There have been some press reports linking New Orleans Saints Head Coach Sean Payton with the Giants, but the Saints have announced that Payton is remaining with the team. 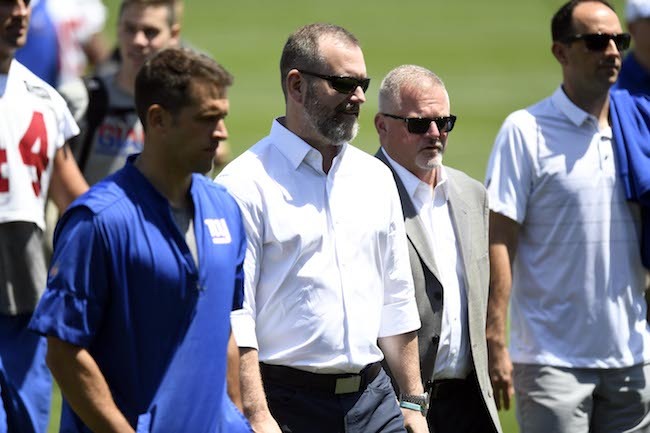 As previously reported, New York Giants Assistant General Manager Kevin Abrams will reportedly interview with the Detroit Lions for their general manager vacancy. Former New York Giants General Manager Ernie Accorsi (1998-2007) is serving as a consultant for the Lions and he has ties to Abrams. According to FOXSports and one ESPN report, Head Coach Tom Coughlin is expected to to resign or retire. Coughlin’s extended family was on hand at today’s game. ESPN is reporting that Coughlin asked his family members to attend, although he did not reveal his plans to them as of Saturday night. All 11 of Coughlin’s grandchildren were on hand wearing “Coughlin Crew” sweatshirts. Team ownership will reportedly meet on Monday to discuss Coughlin’s future. Jay Glazer of FOXSports says that the Giants like Ben McAdoo, the team’s current offensive coordinator, to replace Coughlin. Tom Coughlin met Sunday morning with Giants GM Jerry Reese, who told him he didn't know what was going to happen. For whatever it's worth, neither Tom Coughlin's assistant coaches nor some members of his family seem to know what happens next. New York Giants Assistant General Manager Kevin Abrams will reportedly interview with the Detroit Lions for their general manager vacancy. Former New York Giants General Manager Ernie Accorsi (1998-2007) is serving as a consultant for the Lions and he has ties to Abrams. The New York Giants will pick 10th in the first round of the 2016 NFL Draft. The New York Giants were defeated by the Philadelphia Eagles 35-30 in the regular-season finale on Sunday afternoon at MetLife Stadium. With the loss, the Giants finished the second 6-10 for the second year in a row. The team also finished in third place in the NFC East for the third year in a row. The Giants have lost 13 of the last 16 against the Eagles, including four in a row. The Giants lost six of their last seven games after starting the year 5-4. A quick synopsis of the game was that the Eagles got off to a quick 14-3 lead in the 1st quarter until the Giants closed the gap in the 2nd quarter with 17 points as the Eagles scored another touchdown. At halftime, New York trailed 20-21. The Giants scored another touchdown in the 3rd quarter to take a 27-21 advantage and were poised to take a two-score lead until a deflected pass was intercepted and returned 83 yards for a touchdown. The Eagles tacked on another touchdown in the 4th quarter while the Giants added a 48-yard field goal. Down by five points, the Giants got the ball back with 1:43 to play but New York failed to cross midfield and turned the ball over on downs. New York Giants have lost 13 of last 16 games against Philadelphia Eagles. Linebacker Uani ‘Unga (concussion), safety Brandon Meriweather (knee), cornerback/safety Trumaine McBride (concussion), and tight end Jerome Cunningham (shoulder) left the game with injuries. Inactive for the Giants were WR Dwayne Harris (back/shoulder), RT Marshall Newhouse (concussion), S Craig Dahl (concussion), S Cooper Taylor (concussion), WR Geremy Davis, OT Emmett Cleary, and DE Kerry Wynn. The Giants finished in third place in the NFC East for the third consecutive season. The Giants finished 2-4 in NFC East games. The Giants finished 3-5 at home and on the road for the second straight season. The Giants are 25-23 in regular-season games at MetLife Stadium. The Giants scored 420 points this season, the fifth-highest total in franchise history, and the sixth time they topped 400 points – five them under Head Coach Tom Coughlin. The Giants allowed 442 points, the second-highest total in franchise history (501 in 1966). The Eagles converted 10-of-13 third down opportunities, a 77 percent success rate that was the highest by a Giants opponent since 1970. Quarterback Eli Manning started his 183rd consecutive game under Coughlin, the longest such streak by a quarterback/coach combination in NFL history. Manning’s 24 completions increased his career total to 3,695. That moved him past Pro Football Hall of Famer and former Giant Fran Tarkenton (3,686) and into 10th place on the NFL’s career list. Manning threw 618 passes this season, breaking the franchise record of 601 he set in 2014. Manning’s 387 completions are also a franchise record. He set the former mark of 379 last season. Manning finished with 4,436 yards, the second-highest total in franchise history. Manning passed for 4,410 yards a year ago; he owns the franchise record with 4,933 in 2011. Manning’s two touchdown passes increased his career single season-high total to 35 – one less than Y.A. Tittle’s team record, set in 1963. Manning’s 93.6 passer rating is a career-high. Wide receiver Odell Beckham Jr. caught five passes for 54 yards and set an NFL record for most receiving yards by a player in the first two seasons of a career. Beckham finished the season with 96 receptions for 1,450 yards, both the second-highest totals in Giants history. Steve Smith holds the receptions record with 107 in 2009, and Victor Cruz owns the yardage mark with 1,536 in 2011. Beckham did not score against the Eagles and his 13 touchdowns leaves him tied with Homer Jones (1967) for the single-season record. Shane Vereen caught six passes to increase his season total to 59, the most receptions in a single season by a Giants running back not named Tiki Barber – who had seasons with 72, 70, 69, 69 and 66 catches. Running back Rashad Jennings finished the season with a career-high 863 yards, the highest total by a Giants back since Ahmad Bradshaw ran for 1,015 yards in 2012. Jennings’ previous career best was 733 yards with Oakland in 2013. Place kicker Josh Brown kicked three field goals and three extra points to raise his scoring total to a career single season-high 134 points. His previous best was 127 points with Seattle in 2007. Brown increased his three-year total with the Giants to 350 points. That moved him past Raul Allegre (340) and Amani Toomer (348) and into ninth place on the franchise’s career list. Brown made 30-of-32 field goal attempts this season, a franchise-record 93.8 percent success rate. Brown topped his own record of 92.3 percent (24-of-26), set last season. Defensive end Robert Ayers had the Giants’ only sack of Sam Bradford, increasing his team-leading and career-high total to 9.5. No other Giants player had more than 3.0 sacks. The Giants defense had 23 sacks this season, its lowest total in a 16-game season. The previous low was 25 in 1992. Punter Brad Wing dropped three punts inside the 20, giving him 33 such kicks for the season, which tied the team record set by Brad Maynard in 1997 and 1998. The season is over for the New York Giants. The players will meet with the press on Monday around 11:30 AM.